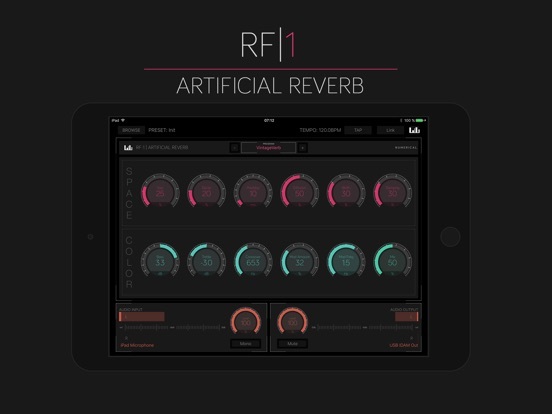 RF-1 is a collection of algorithmic reverbs capable of creating a variety of effects ranging from small rooms to huge, heavily modulated spaces and everything in between. 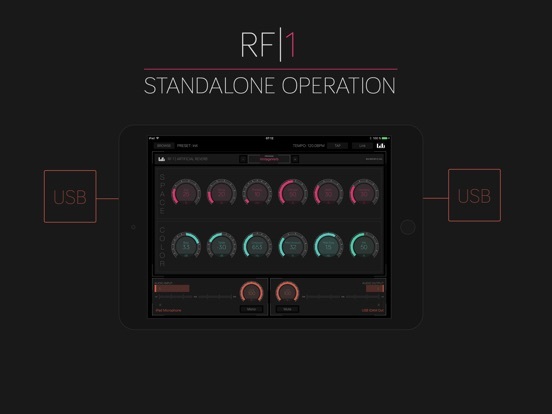 RF-1 comes packed with multiple reverb algortihms, a solid standalone application, carfully tuned factory presets and a plethora of tweak-able controls. 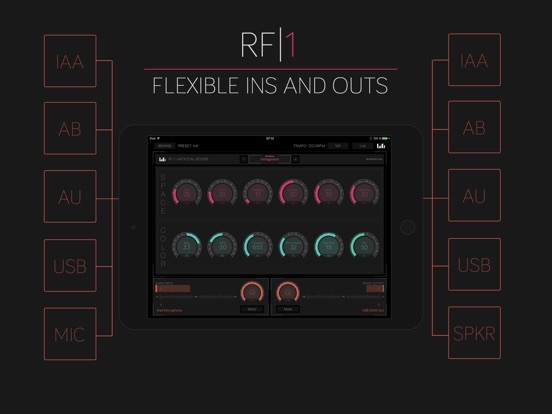 What’s more, RF-1 integrates with everything from AudioUnit Hosts over Audiobus to Inter-App Audio, Guitar- and USB Interfaces. Clean and bright sounding space with subtile modulation and gradually building density. Dark, highly diffused sound with high initial echo density and dark modulation. Capable of huge, wide spaces with deep modulation. Large, bright and always moving with amplitude modulation at the output. 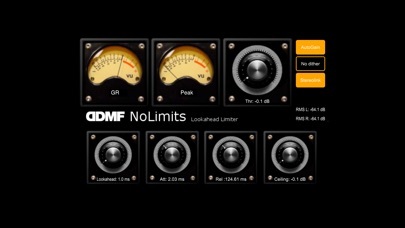 At the end of a long day at the mixing desk, when everything has finally fallen into place, comes the best moment (just before pouring that glass of whisky): load an instance of NoLimits at the end of the chain, turn that one knob, lean back and enjoy. 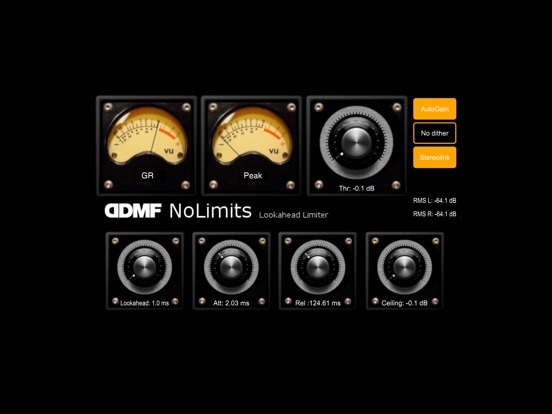 This look-ahead limiter completes DDMF’s mixing and mastering portfolio and will be your weapon of choice to bring you up to competitive levels. Features: optional auto-gain, optional transient stereo linkage, advanced mode for variable lookahead, attack and release times, and a state-of-the-art dithering algorithm. Last but not least: it sounds smooth, yet powerful. 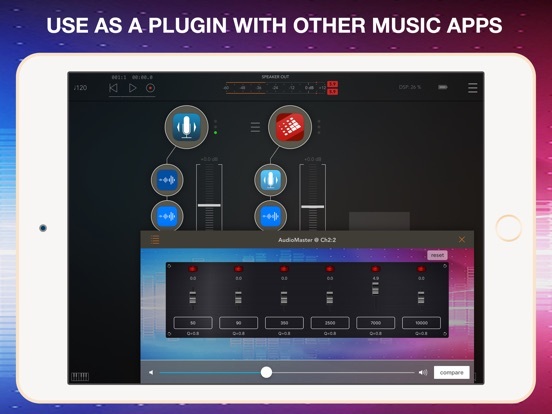 This app comes in AUv3 format for use in the latest generation of iOS audio hosts like Garageband, Cubasis or Auria Pro. Looking for new ideas? Music, Words? 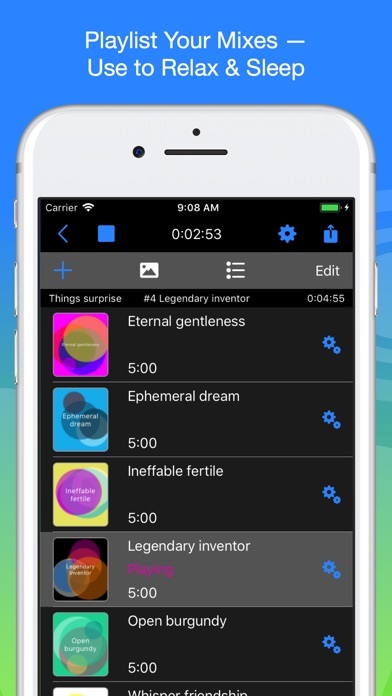 Wotja uses “Generative Music”, “Text-to-Music” & “Cut-Up Text” techniques to help break creator’s block. It makes great relaxing music, too! 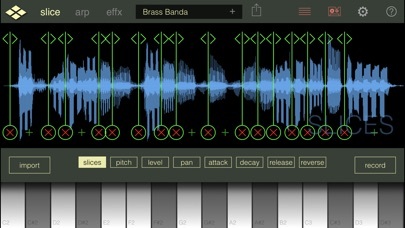 Get ideas flowing with live “generative music”. 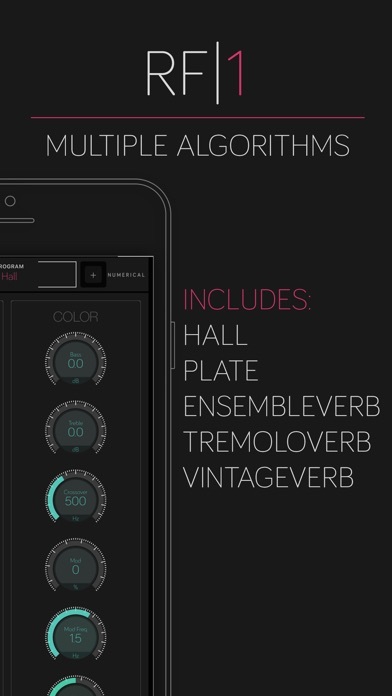 Easily mix together 100s of editable generative music templates (randomly or manually). 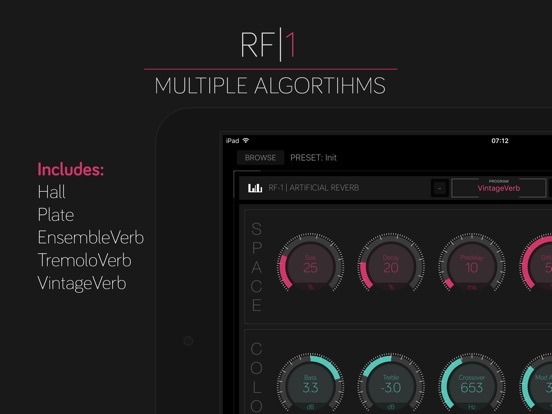 Customise as you wish with editors for generative music composition, text-to-music and sound design. 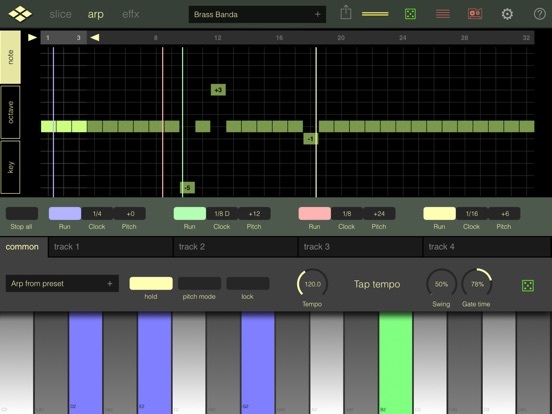 Wotja’s MIDI generating music engine has over 130+ parameters. Wotja’s sound engine features many modulatable sound units, FX units & SF2 (you can also use your own) and allows use of audio loops in Paks. 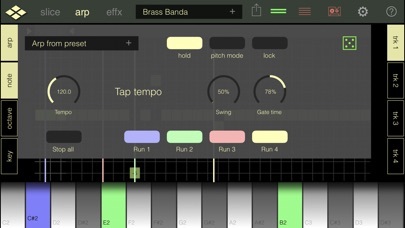 Supported: Core MIDI / Virtual MIDI Out/In, Inter-App Audio and Audiobus. 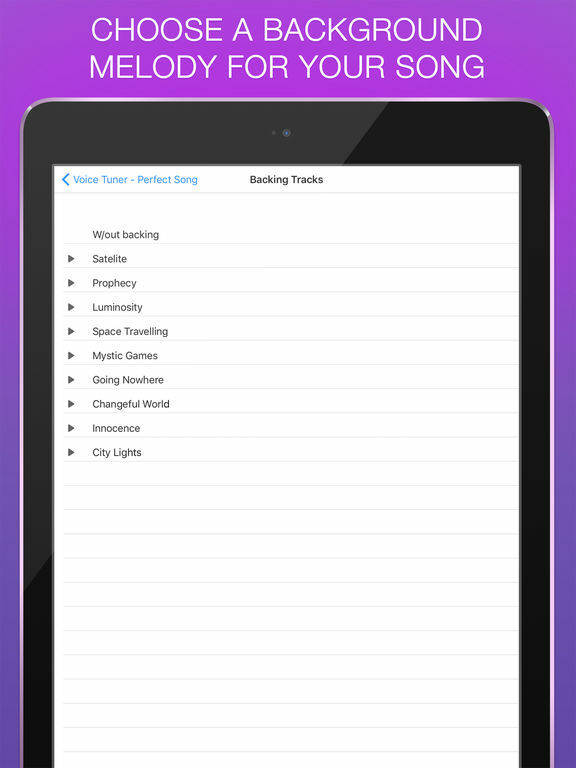 Generate cut-up text to create new ideas for lyrics, poetry, songs, haiku etc. Randomly select words from up to 5 user entered Source text fields + User Library + Wotja Word Bank. Lock what you want to keep and iterate until you are done. Play some live ambient music then kick back, relax and reflect on things. 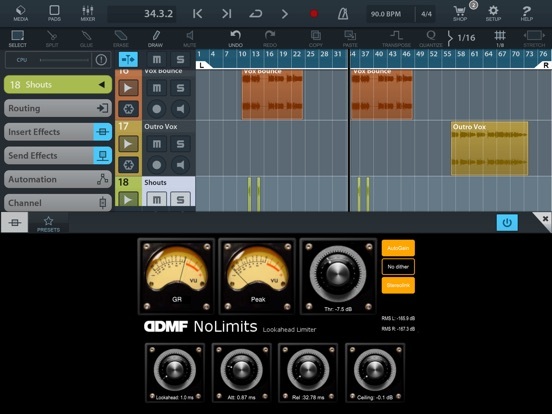 Use random mix generation and text-to-music to quickly & easily create beautiful, personal “reflective music” mixes. Playlist them. Even share them. 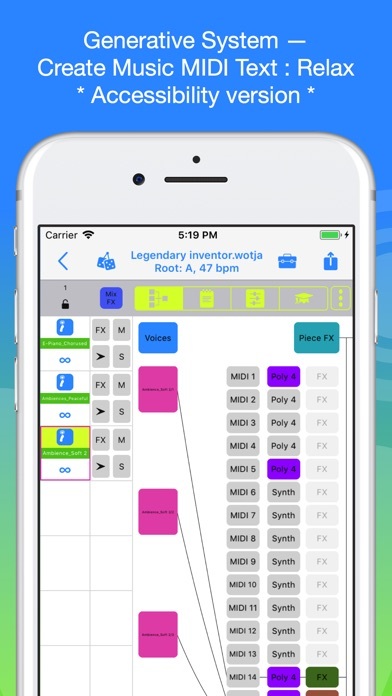 In FREE operation you have access to EVERYTHING in Wotja for iOS (cut-up editing, mix randomisation, generative templates, generative parameter editing, synth editing etc.). • Help break writer’s block with new ideas for lyrics, poems, songs, haiku etc. 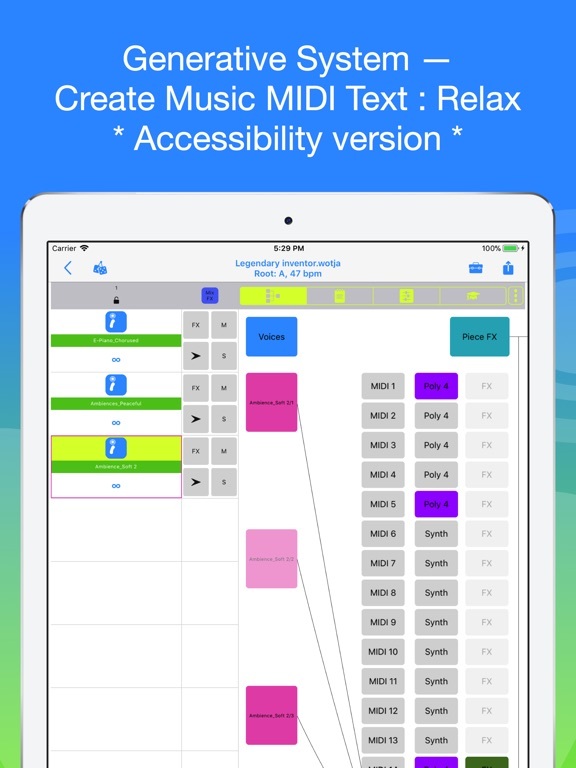 • Help break composer’s block with new ideas for melodies, songs, etc. • Create, play & playlist high quality, royalty-free soundscapes: ambient, drone, relaxation, mindfulness, experimental etc. 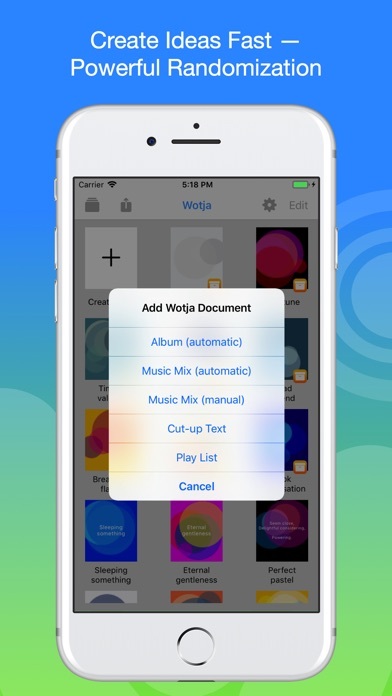 • That’s OK, get “Wotja Pro 2017” for iOS instead! See also our Bundles. • Prices above shown for US region. • Each Subscription Period is 6 months, auto-renewing (it is *EASY* to turn off auto-renewal if you want to). • Payment will be charged to iTunes Account at confirmation of purchase. Subscription automatically renews unless auto-renew is turned off at least 24-hours before the end of the current period. Account will be charged for renewal within 24-hours prior to the end of the current period. Subscriptions may be managed by the user and auto-renewal may be turned off by going to the user’s Account Settings after purchase. “Always creative – always cutting edge. The team at VirSyn has a steady stream of cool apps that they release. 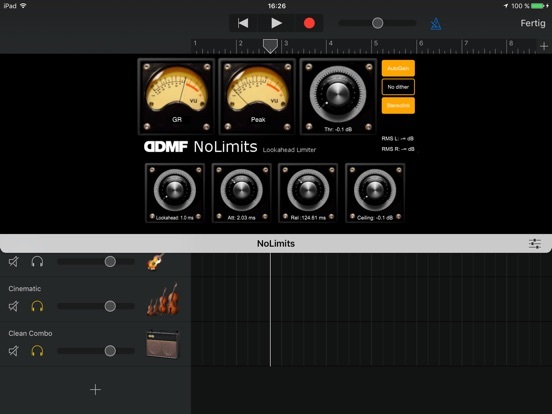 They are always pushing iOS music creation possibilities to new and interesting territory! 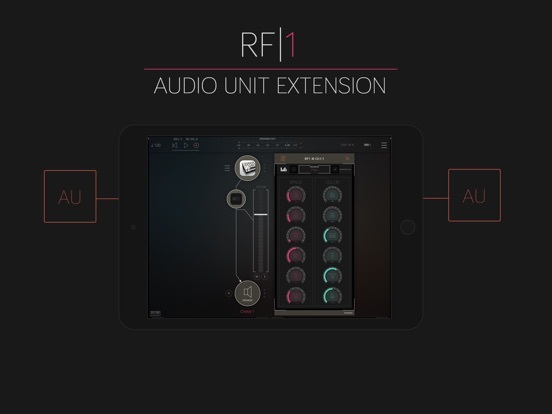 • Audiobus 2 support with state saving. 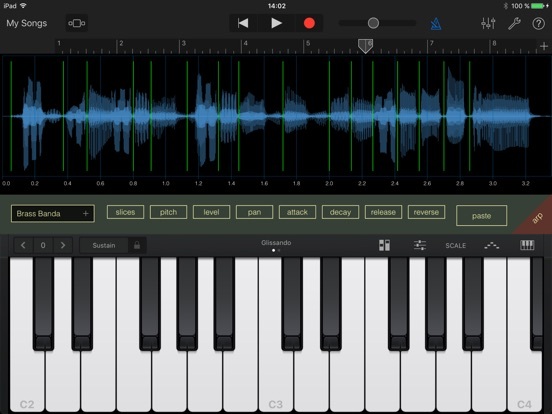 • Play slices live with the onscreen keyboard. 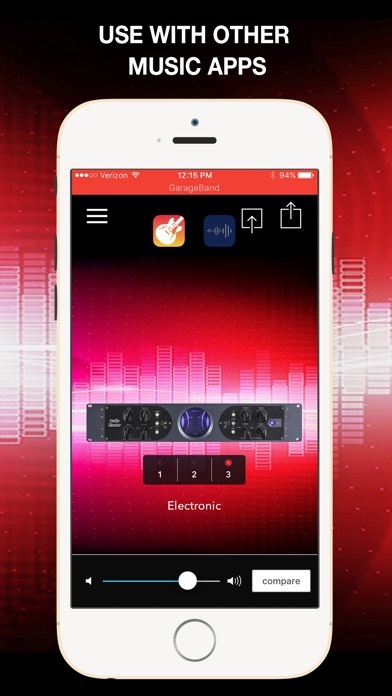 – Sync’d loop recorder with 1-16 bars. – Share slices together as zip file. 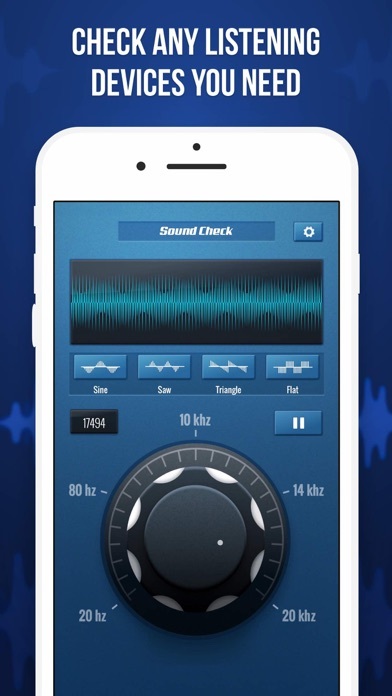 If you need to check your sound, take a look at this useful tool! Sound Check app is designed to generate sound with various frequency, from very low to very high. With this helpful utility you can easily check the sound quality of your headphones or just make some noise! – a handy generator of different sounds and noises. 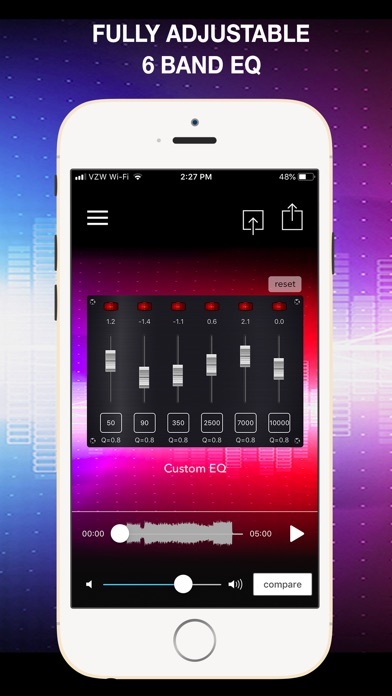 This app can be a checking tool for any headphones you’re about to buy but want to test the quality of sound right off the bat, or a cool app for everyone who loves to tinker with sounds, sound waves, and sound effects! 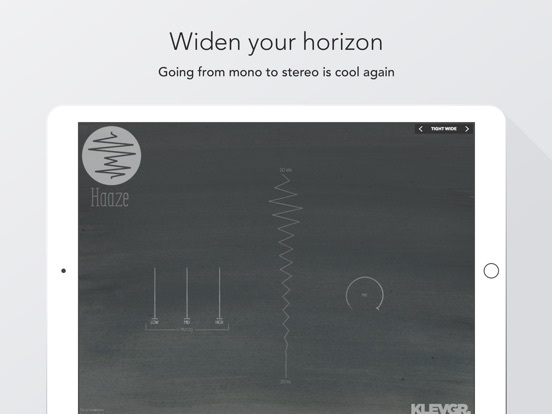 Haaze provides two different ways of making a mono (or a not-wide-enough-stereo) signal to a wider stereo signal. By splitting the input signal into 16 different frequency regions, spanning from 20 Hz to 20kHz, Haaze can add different amount of stereo-widening to different frequency regions. 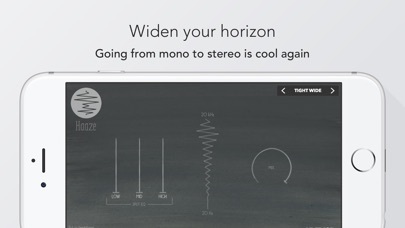 This makes it possible to transform a mono track into a natural sounding stereo track (by for example keeping lower frequencies in mono while spreading the higher ones). 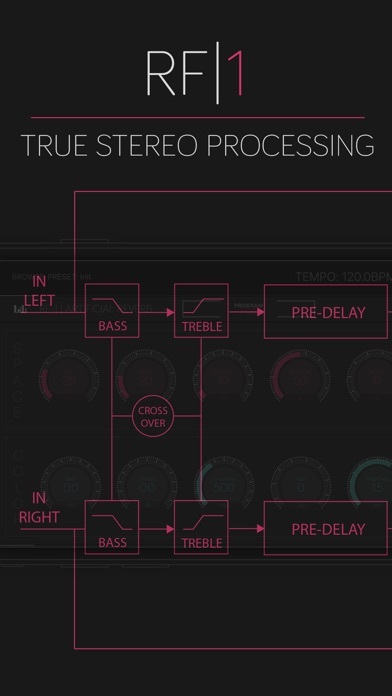 Haaze is using two different stereo widening techniques, Haas (short delays between left and right channel) and ”Split EQ” (different gain on different channels on different frequency regions). • AUv3, works with AUv3 compatible hosts like Cubasis, Auria, AUM etc. To apply the Haas effect, click and drag the spring component horizontally. The top-most part applies the effect on higher frequencies, and the bottom-most part applies the effect on lower frequencies. To apply the ”Split EQ” effect, drag the LOW (bass frequencies), MID (mid frequencies), HIGH (high frequencies) sliders to apply the effect. 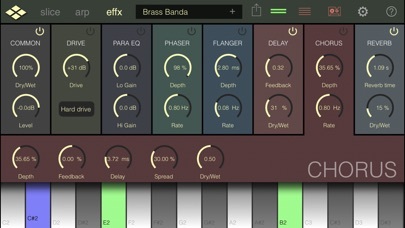 The MIX knob mixes the input audio with the processed audio. NOTE: When setting the MIX knob somewhere in the middle, there might be noticeable phase issues (if so, we recommend setting the value to max and adjusting the other parameters instead). 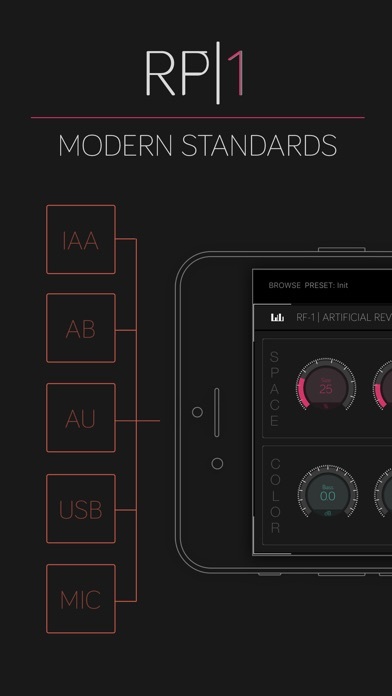 Important: Haaze in stand-alone mode does not support IAA, Audiobus. 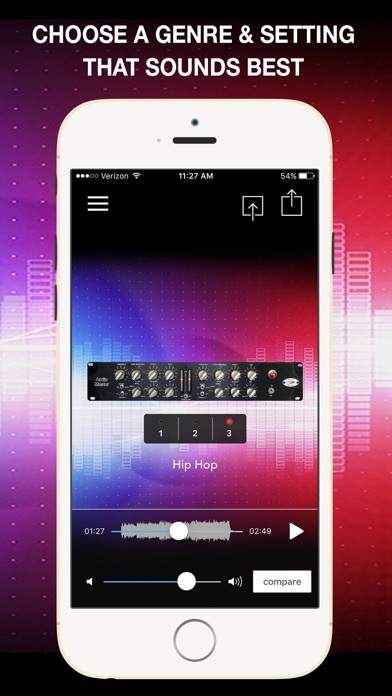 You can try it out using the microphone, but beware of audio feedback (use headphones!). We recommend using Haaze with AUv3 compatible hosts. 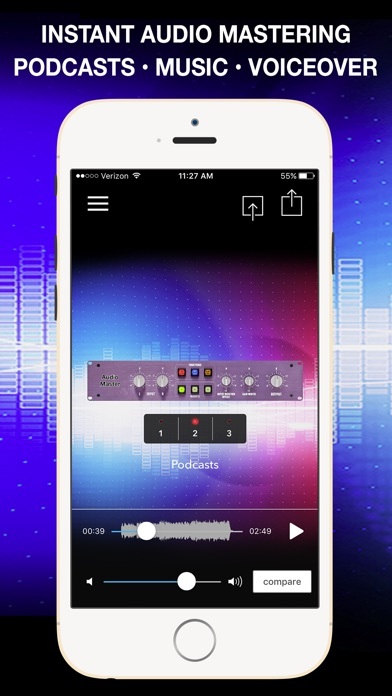 Sydney-based electronics manufacturing and software development company, Sinusoid released this handy little app way back in 2010, which provides sound professionals and audio enthusiasts alike access to a set of audio measuring and testing software tools, that replace the dedicated hardware typically required to get the same results. 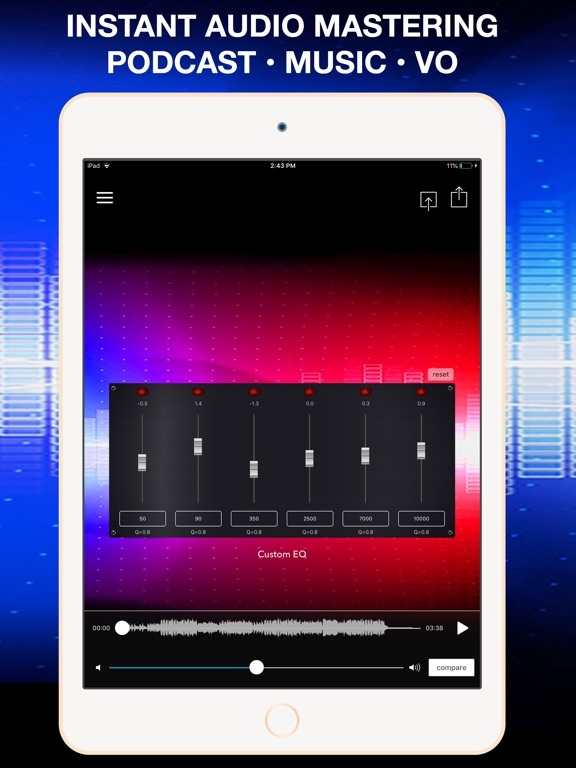 Audio Kit has enjoyed regular updates ever since its launch, with the latest upgrade to version 2.0 delivered in April this year. 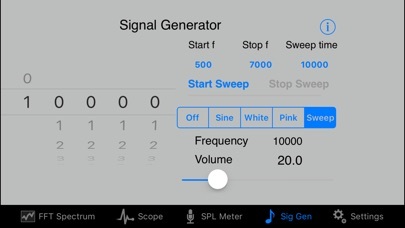 One of the key new features in 2.0 is the introduction of a sweep generator, which is available as an in-app purchase for US$0.99. 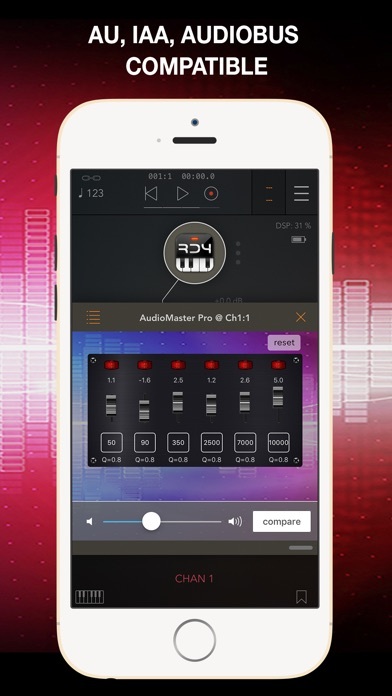 This clever new feature aims to take the labour out of manually testing a wide range of frequencies one by one for potential problems in a range of audio environments. For example, a front-of-house sound engineer could quickly and easily find any rogue frequencies in a PA system, by putting the sweep generator through the system and listening out for any problem frequencies that jump out. To aid in pinpointing any rogue frequencies visually, the sweep generator can be activated while using the spectrum analyser mode. 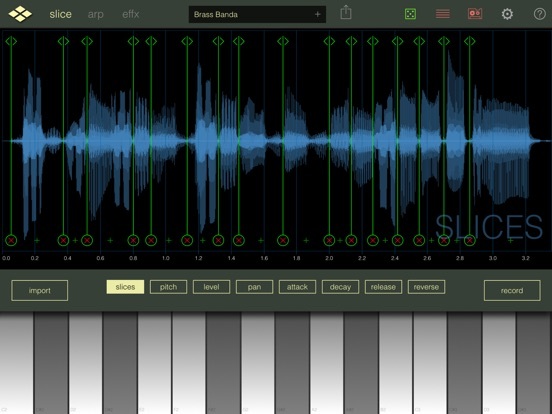 Sydney, Australia – Sinusoid Pty Ltd today is proud to announce the release of Audio Kit 2.0 for iOS including New sweep generator (IAP). Audio Kit is a collection of four tools which are essential for those working in audio, sound and music; A real time Spectrum Analyser, a Scope to display waveforms, an SPL Meter, and a Signal Generator producing sine waves, white noise and pink noise and sweep generator (with IAP). Users can view a real time spectrum of audio, identifying peak frequencies. 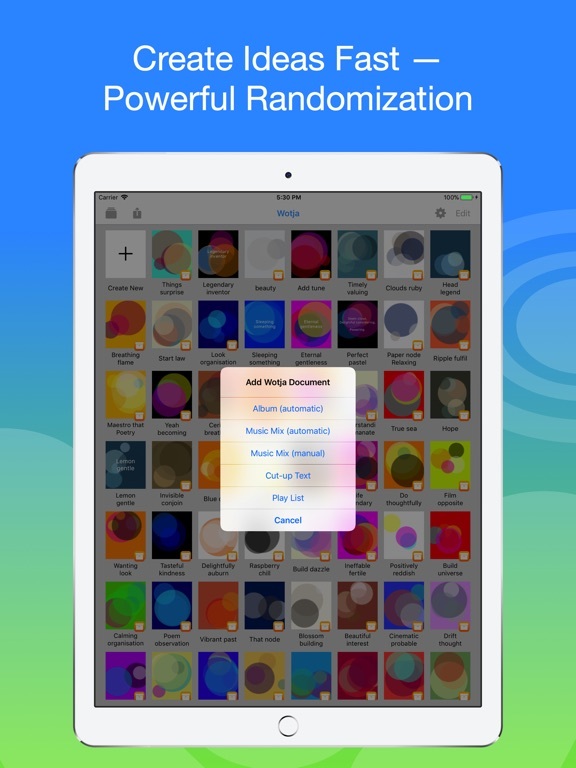 In-App purchase now provides a sweep generator. 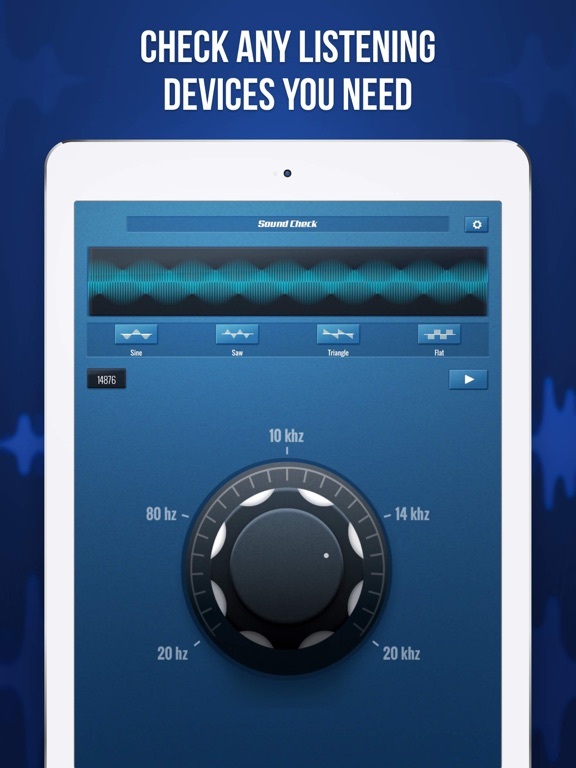 The Audio Kit iOS App has been used by many sound professionals and enthusiasts for sound monitoring since 2010. 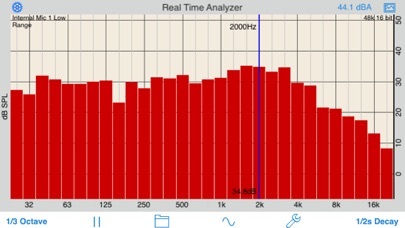 FFT (Fast Fourier Transform) is used to calculate the frequencies in the Spectrum Analyser of Audio Kit and these are displayed in real time. The frequency is displayed in either logarithmic or linear scale. 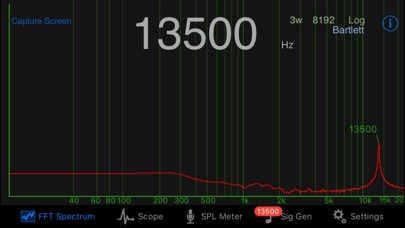 The strongest frequency is displayed both above the peak, and optionally, in a large number display in the center of the screen. The large number display can be quickly switched on or off by double tapping the screen. There is a screen capture facility in the Spectrum Analyser allowing you to save the spectra for future reference along with details of the FFT parameters, time and date. A single tap freezes the screen. Other features such as screen capture and double tap to toggle large number display still work during the freeze. This feature can be turned off in preferences if it’s not desired. The display of the Scope can be adjusted easily using pinch gestures in both horizontal and vertical directions. Zero crossing detection of the waveform provides a smooth display and can be set to either positive or negative direction zero crossing. There is a screen capture facility in both the Spectrum Analyser and the Scope allowing you to save the spectra and waveforms for future reference. The SPL Meter of Audio Kit continuously displays the sound pressure level, and has resettable minimum and maximum displays also. There is also a colored bar type indication of the measured SPL at the left hand side of the screen. A sliding ticker type plot of the SPL readings over time is displayed across the bottom of the SPL screen. If the reset button is pressed the peak registers a mark of full scale then zero. The SPL Meter can be calibrated against a reference SPL meter or a reference sound source. 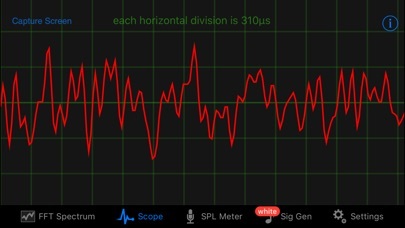 The output of the Signal Generator can be viewed on the other parts of the Audio Kit App. 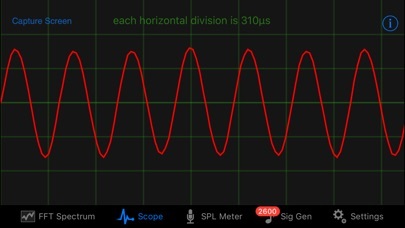 The sine wave frequency selected using picker wheels allows for accurate control of frequency to within 1Hz. Volume for the sine wave and noise signals is continuously adjustable. Output is in both left and right channels. The sweep generator of Audio Kit allows a sweep or chirp of audio frequencies anywhere in the audio range. Sweep direction can be either increasing or decreasing and can be set to be linear or log in output. Very short chirp times can be produced. All of the user preferences in each of the above applications can be made persistent between restarts of the App. All parts of the App have direct access to a detailed context sensitive help document. 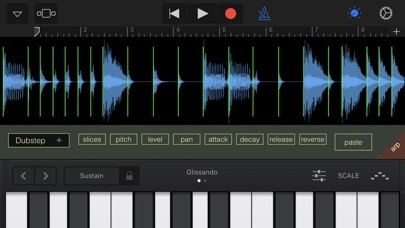 Audio Kit 2.0 is $2.99 USD (or equivalent amount in other currencies) and available worldwide exclusively through the App Store in the Music category. 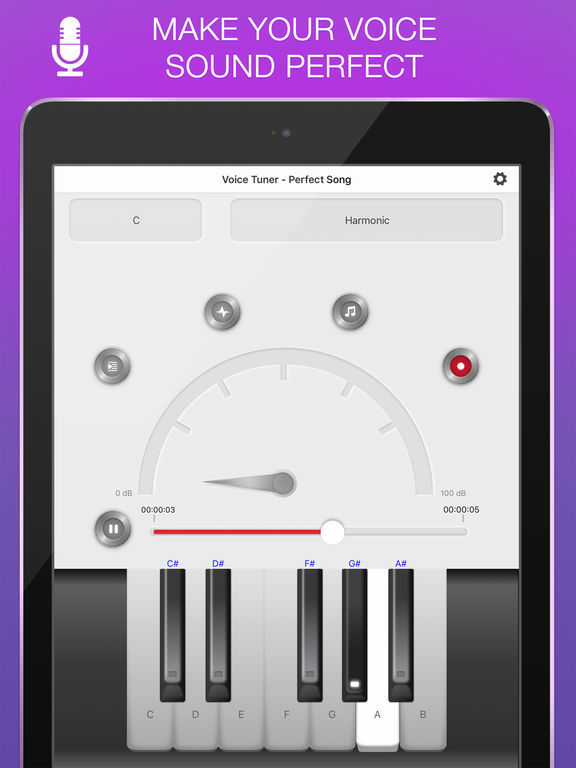 Voice Tuner – Perfect Song is a vocoder and a recording studio in one app. Voice coding by various scales, multiple backing tracks, and sound effects are waiting for you! 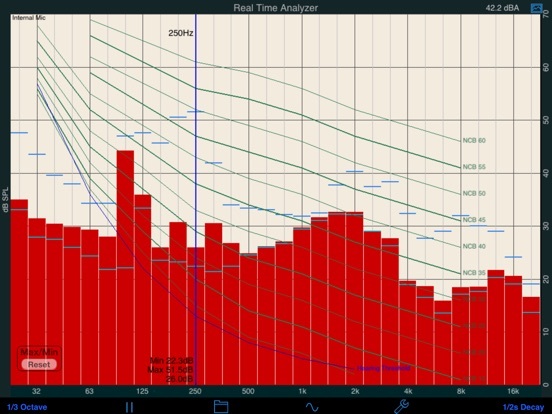 A Real Time Analyzer for the iPhone, iPad and iPod Touch. Test your speakers, tune your room, do acoustical analysis work or just have a better understanding of audio frequencies. 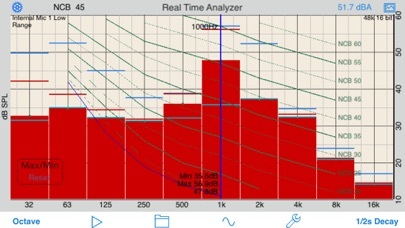 RTA is a professional-grade acoustical analysis tool. All filters meet or exceed ANSI and IEC Class 1 specifications. 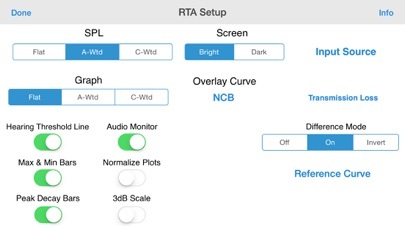 RTA Pro includes all in-app purchase options, including Transmission Loss (STC) and Reference Curves. 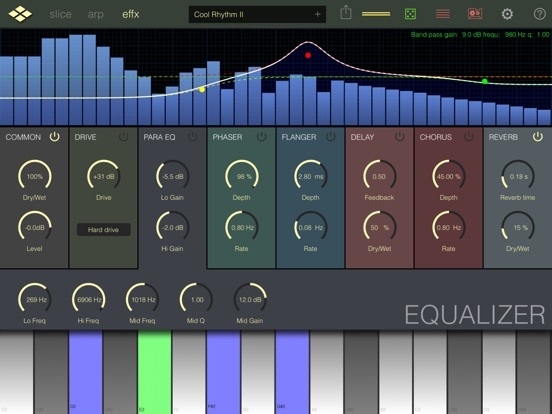 Includes Octave and 1/3 Octave modes, with selectable decay times, as well as Peak Hold and true linear Average mode. We have analyzied every iOS device, including all of the iPads, all iPhones, and iPod touches, and have created microphone compensation files that are applied automatically. You can trust the results you are getting, often within just a few dB of a far more expensive analyzer. 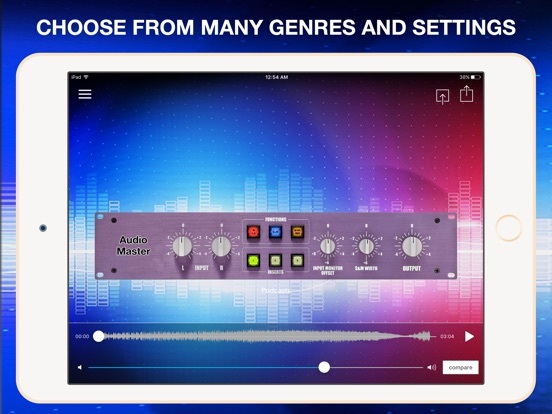 Upgrade to our iTestMic or iAudioInterface2 to bring your system up to full professional specs. You can save and recall graphs, marked with the GPS location, date & time, and your comment, as well as store the image to your photo roll. Export the data as an XLS formatted file to your computer for inclusion in reports or further analysis. You can also turn on resettable Max/Min bars (see image #4) to capture peaks. Double-tap to reset the bars. 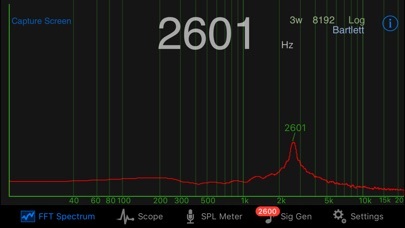 The internal iPhone mic has a noise floor near 30 dB, and if your are running iOS 6, clips around 120 dB. 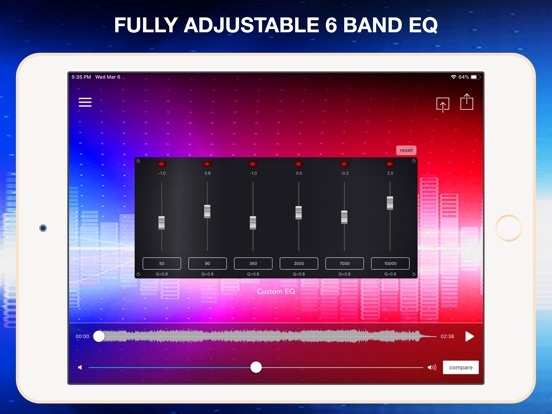 Fully interactive touch GUI features includes scroll up/down, pinch to zoom or compress the vertical dB scale, or swipe horizontally to get a cursor that reads out the exact dB level and frequency across the screen. To make the cursor disappear, swipe it off the graph to the left. The landscape-mode display flips 180 degrees so that you can face the internal mic in either direction. Also included are optional noise curve overlays, in NCB, RC, PNC, NC, X-Curve and NR mode. See picture #2 for an example. 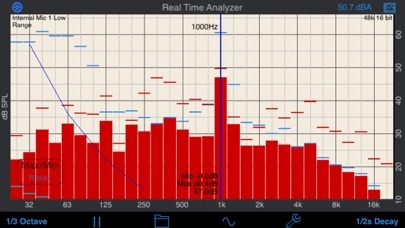 Use this feature to get a quick reading on the noise levels in a room. Also includes the cinema large-room X-curve overlay. RTA can be fully calibrated, whether you are using it with the internal iOS microphone, or one of our professional test & measurement mic solutions. 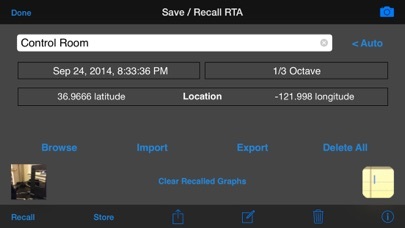 And, if you are using iTestMic, the mic calibration is transmitted directly to the app, so you are always calibrated. 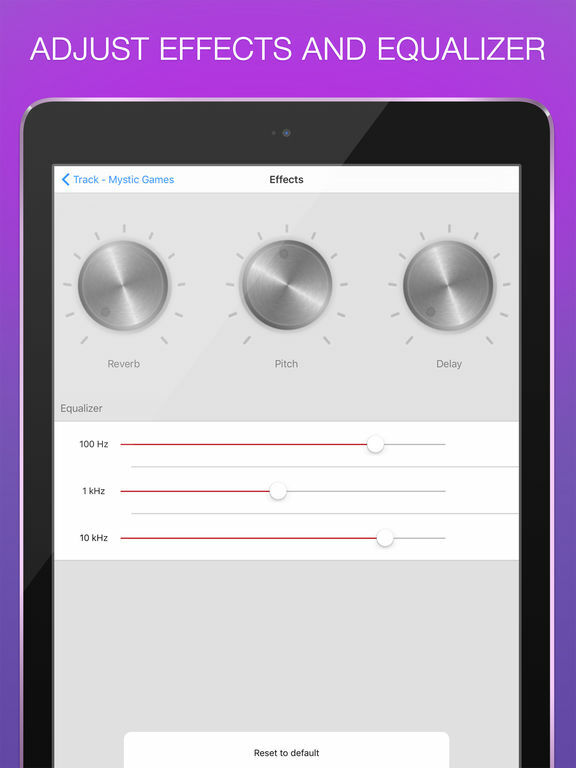 Import any audio and instantly get a mastered version. Immediately hear the boost in volume and overall polish of the mix. 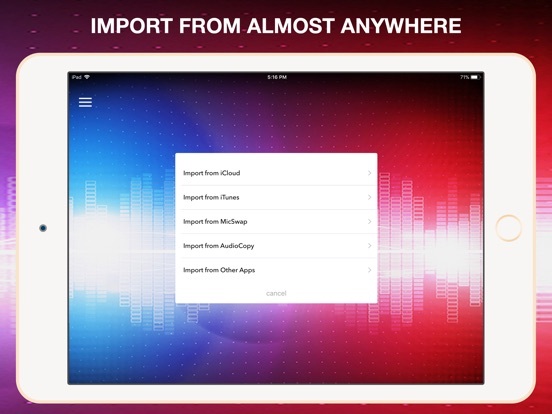 Export, save and share anywhere you wish. 1 free trial included. 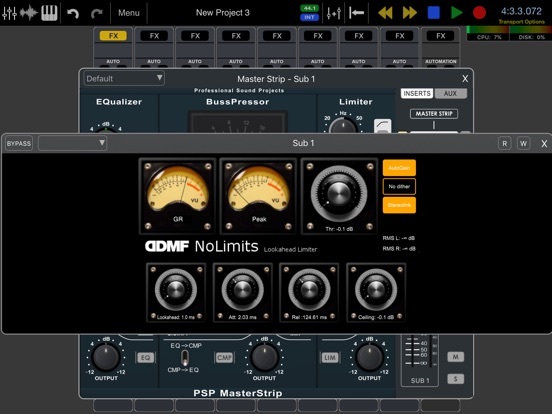 Let AudioMaster put the final touches on your sounds by enhancing the mix and sonic characteristics, . 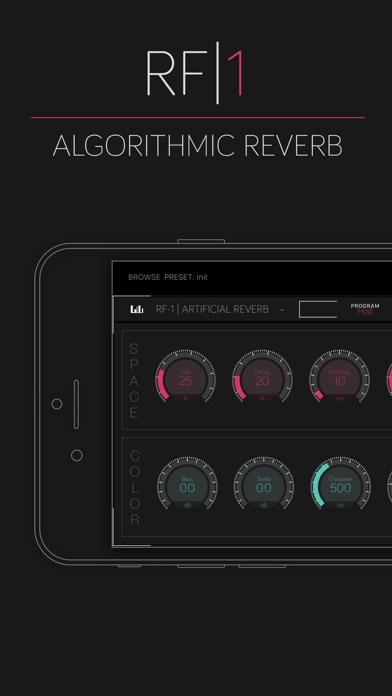 Our audio algorithm automatically adjusts levels and gives a general “sweetening”. Think of it as the difference between a good-sounding mix and a louder professional-sounding, finished master.